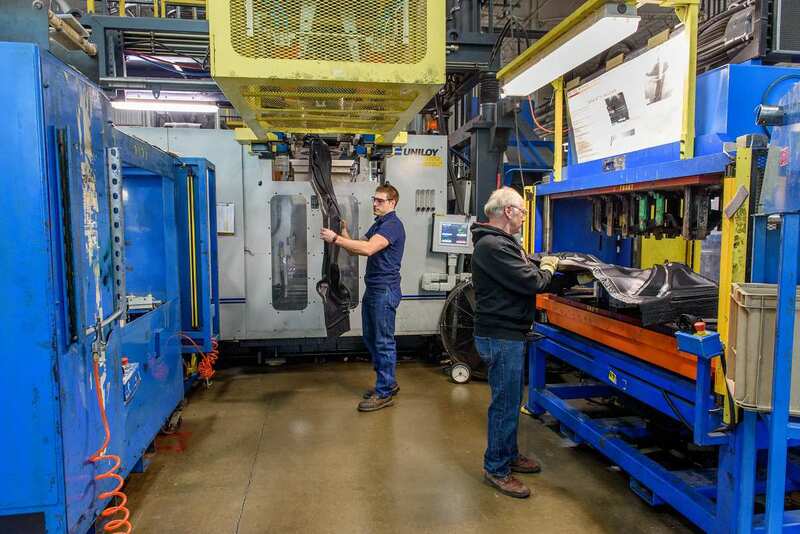 Toledo Molding & Die, Inc. has blow molding capabilities in two manufacturing facilities in Northern Ohio. with shot sizes that range from 5 lbs. to 25 lbs. This provides us with a great deal of flexibility to run a wide array of very small and large parts up to 70 inches length in materials that include Polyethylene’s, Polypropylene and TPE.